Most women wash clothes at much lower temperatures and with much milder detergents than before. Basically, because many fabrics today need lower temperatures to be laundered, and there’s also the question of the environment, and cooler temperatures and shorter cycles also mean lower electricity bills. However, while your laundry make look and smell clean, washing clothes in detergent and cold water may not be adequately killing all the germs in your laundry. According to Dr Lisa Ackerley, who is one of the UK's leading food safety experts and consultant adviser, says that today’s methods do not remove bacteria and germs, and in fact can be a breeding ground, which can lead to cross contamination and infection. Researchers have dubbed this the ‘Sick Laundry Cycle’. 'Low-temperature washing provides optimal conditions for germs to breed and multiply in favorite hideaways such as the detergent drawer and door seals,' continued Dr Ackerley, and this is transmitted to the next load of laundry. 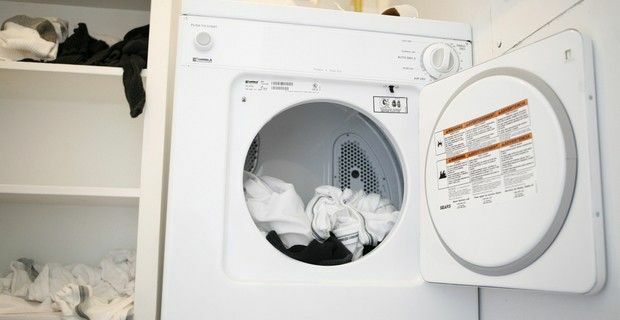 Studies have shown that a build-up of bacteria in the interior of the washing machine may have as many as one million bacteria found in just two tablespoons of wash water. To break the Sick Laundry Cycle, you’ll need to separate your laundry before washing it, like underwear, bras, socks and bed linens that are more likely to carry germs. If you wash a load of just underwear, there will be about 100 million E. coli in the wash water, and it can can carry a number of different germs, including hepatitis A virus, norovirus, rotavirus, salmonella and E. coli. Use hot water in your wash cycle which destroys microorganisms, and bleach your whites, and for colored items, opt for a color-safe bleach. Periodically clean your washing machine with bleach and water without any clothing in it, just the regular cycle. One of the most effective germ-killers is the sun, so if you can, let your clothes dry in the sun, the ultraviolet radiation kills germs.